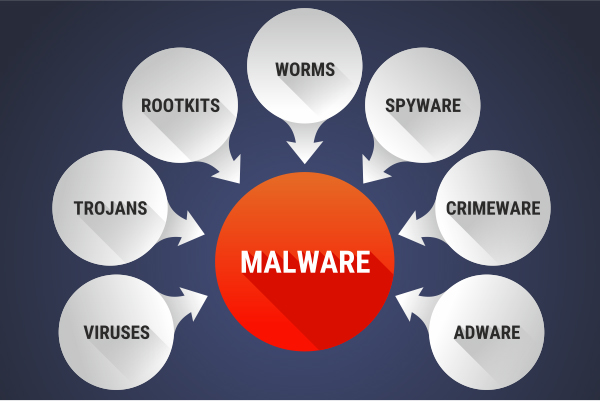 What Does Malware Do? How To Protect Your Emails? There are numerous channels via which malware can find its way into our computers. Email is one of those channels or mediums. Right from day-to-day transactions to conveying important messages, emails carry sensitive information all the time, which if it falls into the wrong hands, can compromise our security greatly. Therefore email protection is absolutely necessary for enterprises like you to stay away from various email related threats. In this 'Email Protection: What Does Malware Do?' blog, let's take a look at the various security threats which malware can pose via emails and how to counter them. Via Malicious Attachments: Attachments pose a huge problem. And is probably the easiest way for hackers to package their malware. Unsuspecting users when they download such malicious attachments can easily get infected. This is probably the oldest technique which is still around for spreading malware via email. Via Links to Malicious Web Pages: Another way of spreading malware via email. Misleading links contained within mails leading unsuspecting users to dangerous web pages containing malware. A recent survey reported that almost quarter of users will click a malicious link if they believe it's from a friend. Via Enticing Mails Or Phishing: Next comes social engineering. With this technique, unsuspecting users are usually scammed via 'enticing mails' with subject lines like, 'You Just Won Lottery' or 'You Just Won A Free Trip' etc., that force them to part with sensitive information. Via Ransomware: Ransomware, which wreaked havoc last year, is commonly spread via emails. This just goes to prove the popularity of emails enjoy among the hacking community when it comes to being used as a medium for spreading malware. It also proves the fact that enterprises need email protection tools to survive against ransomware attacks. And Much More: Zero-day exploits, Man-in-the-Middle attacks, Spamming, Keyloggers and much more can be easily associated with malware spread via emails. Therefore one cannot overemphasize the role email protection tools play in protecting enterprise mails – especially considering today's rapidly changing cybersecurity threat landscape. How To Counter Email Malware? In Other Words, How To Protect Your Emails? Now the question is: how can you counter email malware? (malware spread into a network via emails by infecting them). To safeguard emails, enterprises need to first safeguard their email server (server used for sending/receiving mails). And to do this, they need email protection tools like Comodo Antispam Gateway. Zero-Day Malware: The most dangerous weapon of the cybersecurity threat landscape of today – the zero-day malware. Never before witnessed malware attack, the resolution of which is yet to be found by the security community, which cannot be tackled without proper email protection tools. Spamming: Unsolicited mails pose another huge challenge. From online ads with people trying to market something to malicious hackers trying to infect user inboxes, spamming usually takes many forms each with a different intention. Another dangerous email threat. Malicious Attachments: Then there are malicious attachments up for download, which usually contains malware, and when downloaded can impact your computers adversely. Again, to prevent this from happening, you have to use email protection tools. Productivity Loss: Finally, if emails have issues, there are obviously going to affect your productivity. From spamming to malicious attachments, your time would be wasted either in going through these mails or your workstations breaking down – both of which can impact your productivity badly. Simply put, these endpoint protection tools won't allow email malware to enter or leave your enterprise network. In other words, they'll allow only clean mails to pass through your network, which in turn implies your network is safe from email malware and other related mail threats. Comodo Antispam Gateway (ASG) comes equipped with impressive enterprise email security features that easily make it one of the best in the IT security industry. ASG enterprise email surveillance system which combines two effective technologies, namely Valkyrie and Containment, ensures enterprise mails remain malware-free without affecting employee mail experience. And Much More: Spam Filtering, Phishing Protection, Default Deny Approach, Bulk Email Categorization, Sender/Recipient Filtering, IP Reputation Analysis etc.